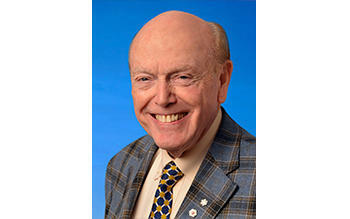 Mr. Jim Pattison became a David Foster Foundation Life Legacy Member in 2017. Jim Pattison is the Chairman, Chief Executive Officer and sole owner of The Jim Pattison Group. The Jim Pattison Group is Canada’s 2nd largest privately held company and, in a recent survey by The Financial Post, The Jim Pattison Group was ranked as Canada’s 48th largest company.